City Club is Lafayette’s #1 Wedding Reception Venue for a fabulous event, superb food, elegance and sophistication. 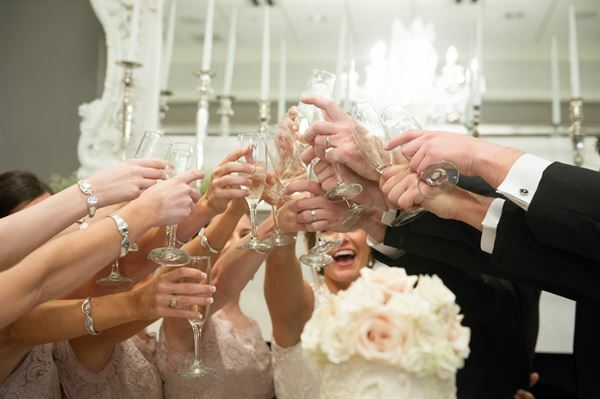 Now that you have made the most important decision of your life we would be delighted if you would consider City Club at River Ranch for your wedding reception and/or marriage ceremony. Our Sales Director would welcome the opportunity to show you around the City Club and discuss your “Dream Wedding”. Getting married can be a stressful time and we know how important this experience is to everyone involved. Our goal is to ensure you and your guests have a truly memorable day. With the support of our experienced wedding coordinator and professional service staff, your wedding day will go as smoothly as possible, giving you time to celebrate while we take care of the rest. We offer a variety of function rooms and our Chefs have prepared some carefully selected menus, however we can also tailor your wedding day menu to your own requirements; from a cocktail style setting with a dozen or so close friends and family to a full service banquet of up to 600 guests. No matter the size of your wedding, we will ensure your day is beautiful and successful. We want your Guests raving about your wedding. There are of course many things to consider between now and your special day- from photographers, cakes, flowers, favors, entertainment, right through to a sparkling departure and the honeymoon. We are more than happy to advise any of these services on your behalf. With our award winning venue and passionate customer service…we will guarantee you will have happy memories forevermore. Call *NOT DISPLAYED* to set up an appointment with our Wedding Professional. We are available for offsite catering.